As quick as the world cup winners arrived in South Africa, they are on the way out. Even a sublime recovery by Darren Bravo and Denesh Ramdin was not enough to hold off Yorkshire in their must-win qualifier. Ramdin and Bravo post a 94 run stand to help Trinidad and Tobago, recover from 8/3. Ramdin and Kevon Cooper gave the innings the momentum needed at the end to post 148/9. 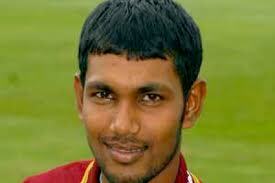 World Cup T20 Winner Denesh Ramdin played a captain’s knock of 59 to help Trinidad and Tobago recover from 8/3. Rampaul and Badree struck early to remove Phil Jacques and Alex Gale. Champions League Debutants Rayad Emrit and Yannick Ottley both had a wicket each. But Adil Rashid and Gary Ballance played sensible cricket in an unbeaten stand to qualify the English to Champions League proper. On a day when Trinidad and Tobago looked a bowler or two short, Ballance continued to build his reputation with an unbeaten 63. Red Force will open the third and final day of the qualifying against Uva Next of Sri Lanka. All four team with only pride to play for as Yorkshire Carnigie and Auckland Aces have completed the main groups. Game two on Thursday will see Hampshire Royals taking on Sialkot Stallions. For the Caribbean side, there will be much to contemplate, what could have been, missed opportunities and more. As for the players who missed as chance against the Yorkshiremen, they will want to get a taste of the limelight, a chance to showcase their talent on the global stage. Navin Stewart will be eager to get out to the middle with the many medium pacer all-rounders around, a high commodity in Twenty20 cricket. Sherwin Ganga like Stewart is no newcomer to this stage and he too will like to have a bite with his off breaks and blade too. 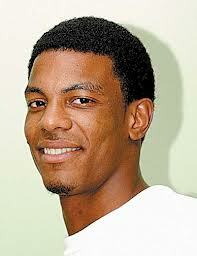 As for Shannon Gabriel he has showed what he can do on sporting pitches in England last summer. Gabriel may just be the bowler TnT were missing to open up the Yorkshire tail. Evin Lewis a former West Indies youth batsman will be keen to get his name on the team-sheet especially after the three opener flop. This entry was posted in Features, Headlines, Match Day and tagged Adil Rashid, Champions League T20, Darren Bravo, Denesh Ramdin, Evin Lewis, Gary Ballance, Hamspire Royals, Navin Stewart, Shannon Gabriel, Sialkot Stallions, Trinidad and Tobago, Uva Next. Bookmark the permalink.